At Edmonds Vision Center, Our Doctors evaluate and fit most types of soft and gas permeable contact lenses. GP (gas permeable) contact lenses are also known in the vision care field as rigid gas permeables. Crisp vision, easy care, and deposit resistance are some of the benefits of GP contact lenses. GP contact lenses are custom made for each individual. Measurements are taken of the exact shape of your cornea in order to prescribe contact lenses with the curvature, size, and corrective power that suit your particular eyes. 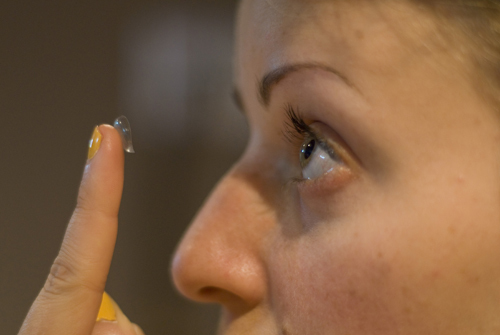 Soft contact lenses are made of a soft polymer-plastic material combined with a percentage of water. Water allows oxygen to pass through the contact lens material and increases comfort. Bifocal contact lenses are designed to give good vision to people who have presbyopia. Presbyopia is an age-related change that affects the natural lens in the eye. Contact lens options for presbyopia include bifocal and monovision designs. Toric contact lenses are special contact lenses for people with astigmatism. These contact lenses are made from the same material as other contact lenses and come in soft or rigid gas permeable forms. 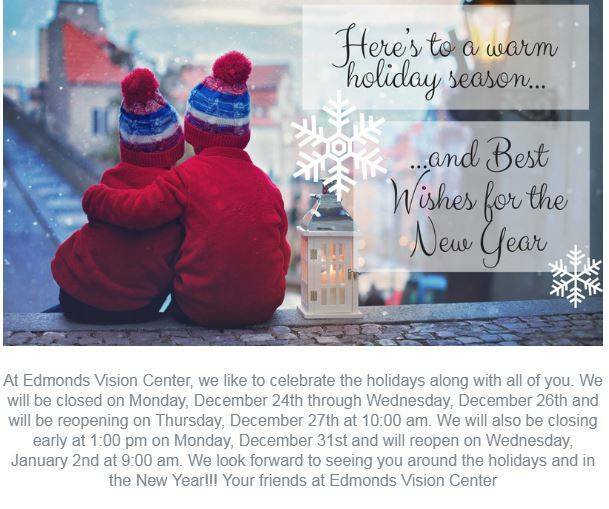 Schedule a consultation with Dr. Wong or Dr. Solum or one of our Associate doctors for your next visit to Edmonds Vision Center.